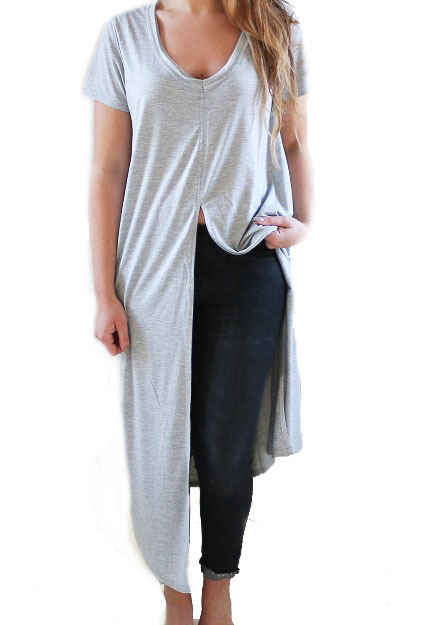 Long t-shirt dress with a slit at the front. Dress with a skirt or cool leather pants and boots. Available in black and in grey.